I had the honor of meeting Cruz the sea lion at my recent visit to Shedd Aquarium in Chicago. 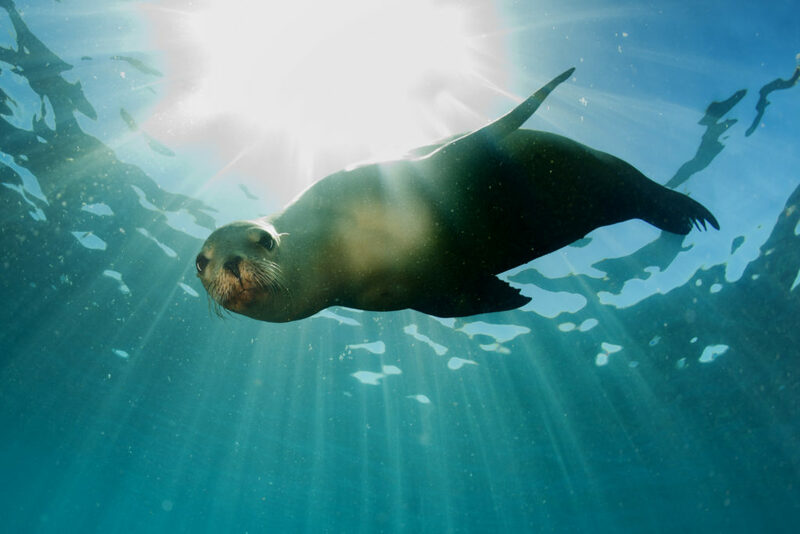 Cruz is no ordinary sea lion and he has quite a compelling backstory to go along with his outgoing and friendly personality. Cruz was rescued in 2013 as a pup along a beach in Santa Cruz, California. After examination it was found that Cruz was blinded due to bullet fragments that destroyed his right eye and blinded his left. He could not survive in the wild and was taken to a recovery center where he was nursed back to health. They knew that Cruz would need special lifelong care and so he was placed at Shedd Aquarium. This was the beginning of a beautiful relationship and Cruz proved himself to be a fast learner and continued to thrive in his new environment. By observing Cruz maneuver you would never know that he was blind. He relies on verbal and auditory cues to swiftly and easily navigate around his environment. It was clear to me from watching Cruz interact with the trainer and the people visiting Shedd that he is a true ambassador for faith, hope and perseverance. He teaches everyone he meets about the power of believing in yourself and never giving up. In fact, he displays in great grandeur the truth that disabilities do not diminish us but in fact can be the driving force that unearths the greatness we are meant to share, teach and instill in others. It was truly heartwarming to see all of the children listening to Cruz’s story and witness him display his wholeness for all to see. I was so moved by the idea of what he would inspire in these young people…more compassion for animals, belief in a no limits life, a commitment to help stop animal abuse, the courage to thrive under adversity, and any number of other wonderful outcomes as numerous and unique as each person there witnessing Cruz’s offering. I must admit that it brought tears to my eyes. Cruz not only reminds us all that animals are precious valuable additions to our world, but that they can be our greatest teachers if we take the time to see, hear and experience the lessons they are offering. I know that I walked away inspired by my encounter with Cruz and could feel with deep resonance that he is joyfully fulfilling his mission to open hearts and minds one person at a time. Previous postIs my personal happiness really the goal of life?